Safety at sea, on the beaches and inland. During each season, all necessary means in order to ensure the safety of vacationers are taken. Therefore, with an agreement between the Town of Rosolina and respective Headquarters and/or Affiliates, the following contingent authorities provide their services for the season: - Carabinieri - State Forest Rangers - Firemen - local hospitals - Italian Red Cross. Also the local police is always in service providing a dedicated office for the season, including State Police, Finance Police and Coast Guard patrols. The aforementioned authorities have both land and sea patrols and as of 2009 the Forest Rangers provide patrols on horseback. 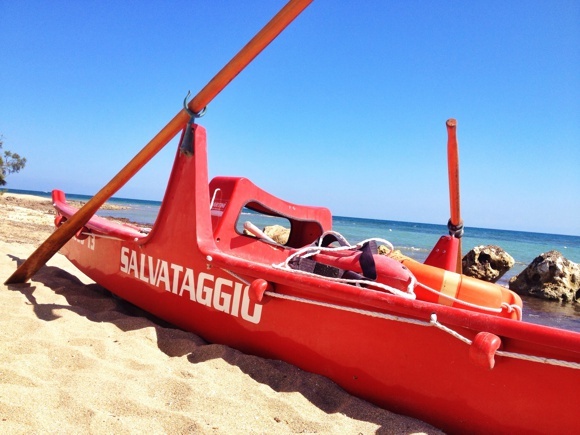 Every beach also has a lifeguard service, providing well-trained lifeguards with all necessary equipment. There is also a motorcycle ambulance consortium, a sort of first aid service directly on the beach with doctors arriving at emergencies with special vehicles or "quad-bikes".